*Scores and rankings are not published for Under 4 through Under 8 divisions. *Scores and rankings are published for Under 9 through Under 19 divisions. *Teams will receive zero points for a loss, one point for a tie, and three points for a win. *In the case of a forfeit the forfeiting team will receive zero points and the opposing team will receive three points. The home team is responsible for reporting the score. 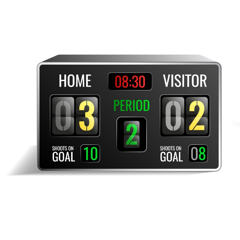 You can report the score by calling it in using the telephone number on your game report or online using the Report Scores Online link below. If you are unable to report your score contact your league director. *Only schedule requests submitted by a coach or team manager will be considered. *Requests will be reviewed by the CFBSA rescheduling committee. *Requests must be submitted at least one week before your scheduled game. *If CFBSA is unable to fulfill your request and your team must forfeit please notify your league director. *Submit the reschedule request using the Reschedule Request link below.